The final auction of 2016 was as busy as ever, with strong competition for well-let properties or those with potential to add value. There were also some great buys too, and whilst many buyers were already in holiday mode, we were delighted to pick up 7 deals for our clients. Allsop’s £119M sale was one of their largest for December, whilst Acuitus pushed on to it’s highest-ever total for the year of £354M. Barnett Ross ended with a 95% average success rate in 2016 – whether this can be repeated in 2017 remains to be seen. With no end in sight to the punitive taxes on residential property and record low interest rates, appetite for commercial property investments remains strong, and the ease of buying in auction clearly appeals to many private buyers. And if you are looking for a quality investment using overseas funds, the time could not be better given the Pound is trading at lows not seen for decades. So do visit our dedicated Foreign Investor page to learn more about how we could assist both privately and in auction. To discuss further and to be added to our active investor mailing list please contact Nilesh stating your requirement. 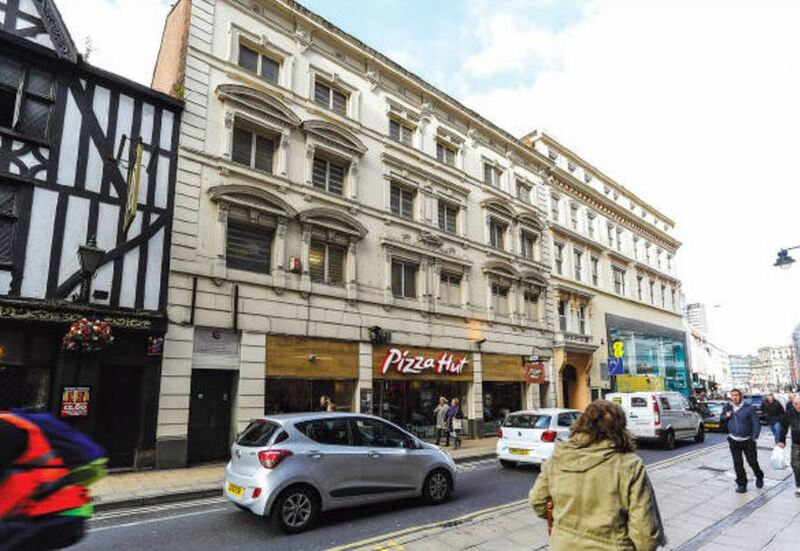 Our comment: We acquired this prime regional city centre investment for an overseas investor prior to auction. The property is in a strong location and let at a sustainable rent, meaning the fact that there are only 4 more years remaining on Pizza Hut’s lease is not a huge concern. We put forward a good offer above guide which appealed to the seller who otherwise would have had to risk their investment in the room, and thanks to the excellent legal team we had set our client up with, we were able to deliver on it and exchange before auction. Tenancy: Let to Greggs Plc for 10 years from 15/03/12 FR&I for £24,000 p.a. Location: Affluent town Kent town 30 miles south-east of Central London. High street location. Our comment: A solid investment which sold for a price well above expectations! 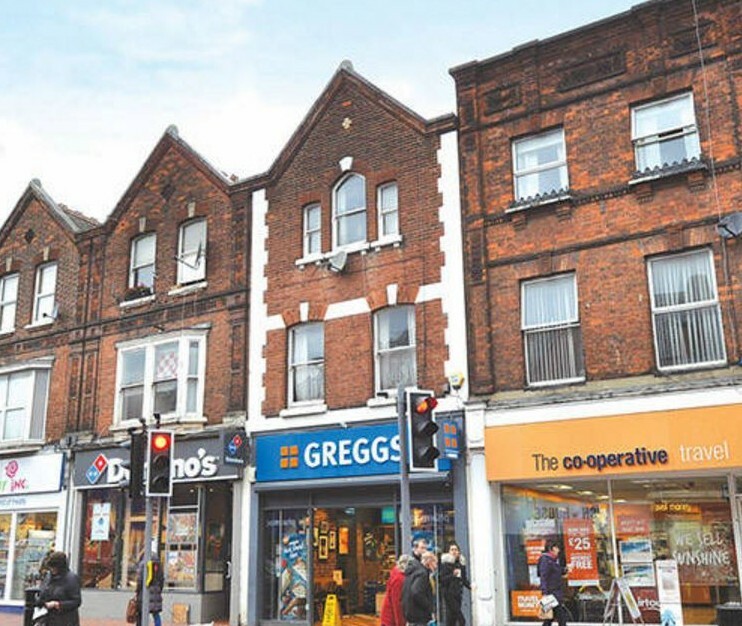 The risk of having only 5 years remaining on the lease is mitigated by the fact that the property inlcudes a maisonette which could be let (or sold off) separately were Greggs to vacate. This is the exact type of investment and lot size that appeals to buy-to-let investors looking for mixed investments which are not subject to punitive residential taxes. Description: Virtual Freehold (999 years) ground floor shop measuring 889 sq.ft. Location: Very affluent suburb of north-west London. High Street location. Our comment: Arguably one of the deals of the day which we were pleased to have acquired for our client, and a refreshing change for many of our readers who have got used to only seeing properties sell above guide! Pinner is a very appealing part of the world, and lock-up investments let to blue-chip covenants on 10 year leases in this neighbourhood would easily sell for around 5% gross. 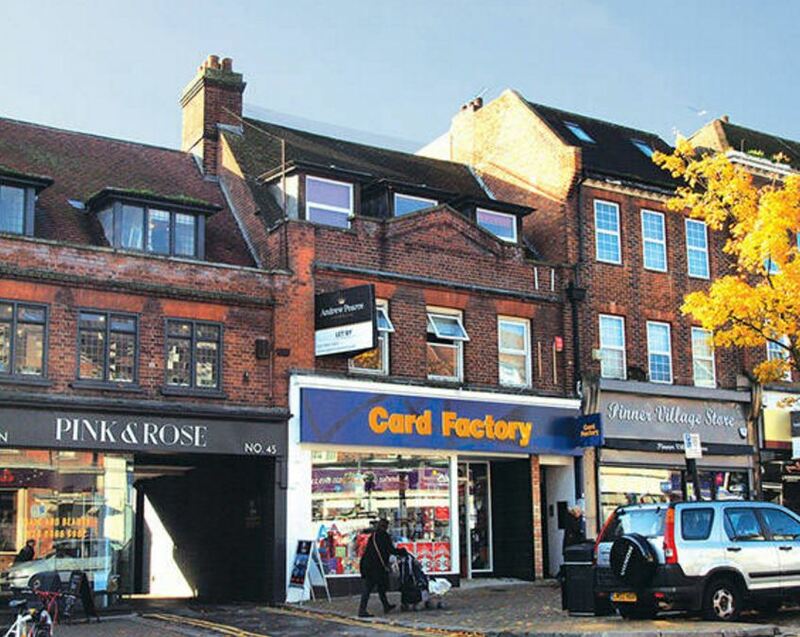 One might argue that the rent is not light or have fears about the tenant’s business, but Card Factory is one of the fastest growing businesses on the High Street at the moment, and a property like this will always rent on or around this level. The 10 year unbroken lease means our client will be able to get a very good finance package on this and lock it away for future generations. If you are looking for a commercial property investment in 2017 by auction or privately, do get in touch. We have a number of off-market investments available now, and will be actively buying and selling in the upcoming February and March auctions. 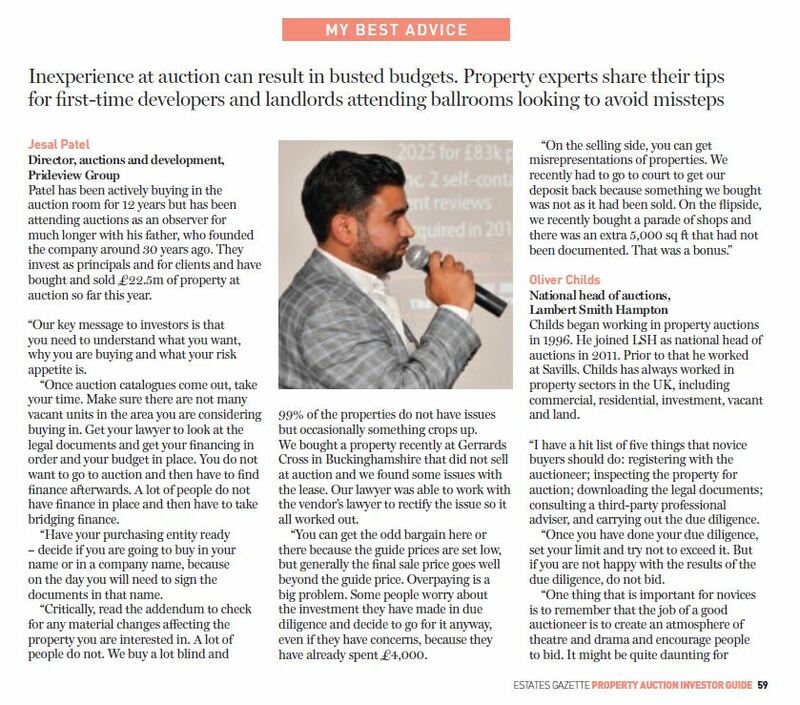 Below is an extract from the Estates Gazette’s recent special issue, The Property Auction Buyers’ Guide, aimed at private investors, where our Auctions Director Jesal Patel was interviewed about some of the pitfalls of buying in auction. We suggest anyone looking to buy in the auction room pick up a copy, details can be found here.